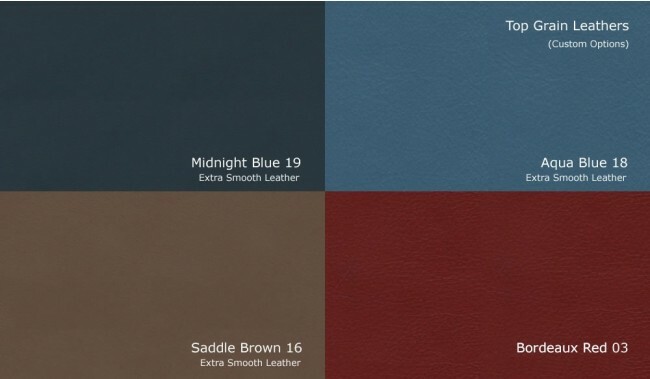 Please choose your top grain leather finish colour for your sofa. Samples are available to order at bottom of main description. 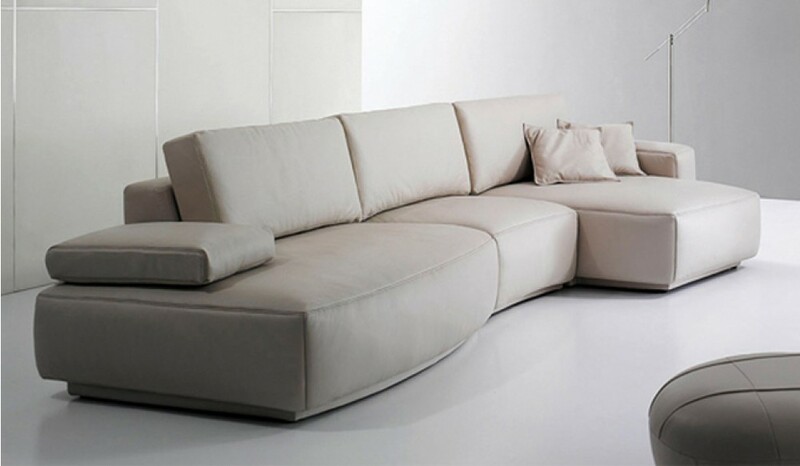 A luxury designer leather corner sofa with a unique curved shape. With low profile hidden feet and a variable depth base, ideal for both taller or shorter persons and of course slouching in front of your favourite movie. Available in 2 size options. Made with a solid hardwood frame, zig zag metal sprung base and foam & fibre cushions. Finished with top grain leather. 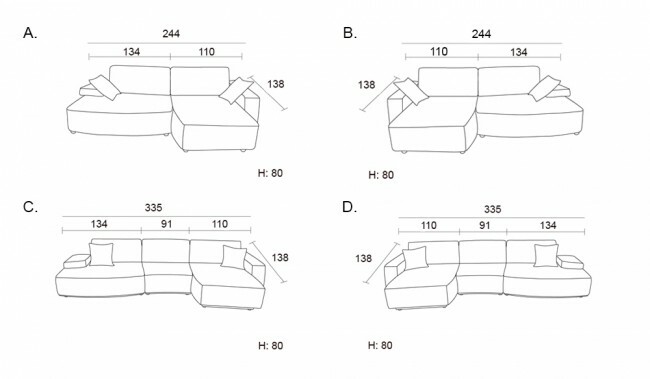 NB: Not including 2 small scatter cushions shown in image. (Not including the footstool) available separately. Filling: foam and fibre filled cushions. Premium Top Grain Imported Italian Leather 1.2 - 1.4 mm thickness. See leather options. 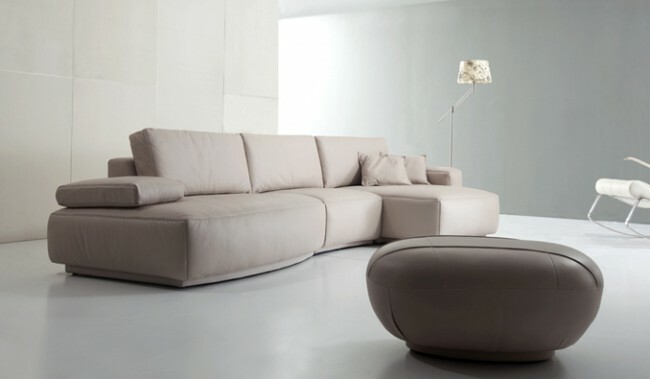 A top grain leather sofa is a great choice if you want a hard wearing, durable and easy to clean sofa. It makes an ideal choice for a busy family home with young children and pets and it is characterized by having a soft pliable and durable luxury finish. Samples: Brand reference: Avich - go to Avich Leather Samples page to order samples.